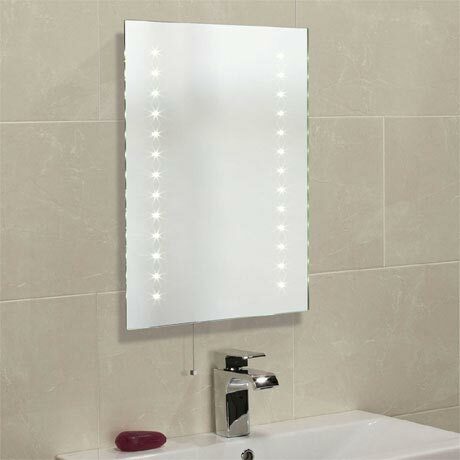 The glamorous Atom LED Illuminated Mirror from Roper Rhodes. Featuring 26 LED starburst lights which are operated by a pull cord. The mirror is IP44 water resistance rated which makes it ideal and safe for use in the bathroom. All fittings must be installed by a competent person, in accordance with current IEE wiring regulations.